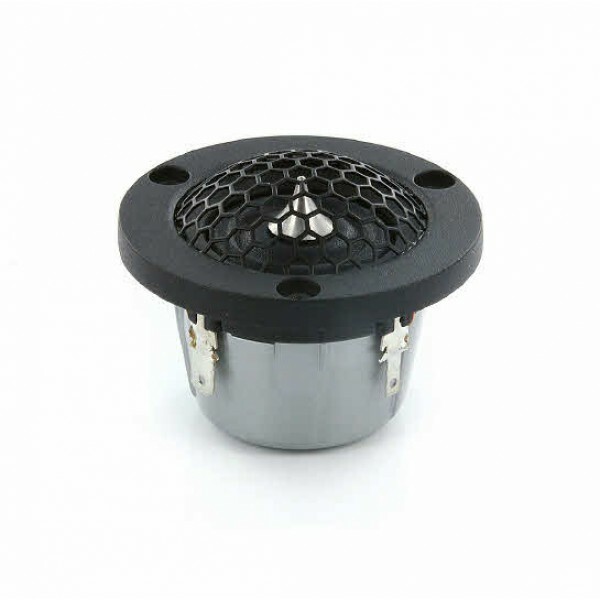 Scanspeak R2004/602000 Illuminator Tweeter, a member of the superb Illuminator Range. Very compact and excellent for small speaker systems and car audio applications. 3 mounting holes. Black die-case anodised aluminum face plate and black protective grille over the 3/4" Ring Dome with Phase Plug. This tweeter features the “SD-2" Neodymium large magnet symmetric drive motor system. These compact tweeters are fully comparable both in sound output and quality to the larger members of the Illuminator or Revelator ranges.